When people visit your home, first impressions are often based on the appearance of your property and the focus of attention is usually on the door that welcomes them. We offer three configurations in seven external colours and a wide choice of glazing including a range of decorative lead designs. The lead is applied to both sides of the outer glass for a superb effect from inside and outside. 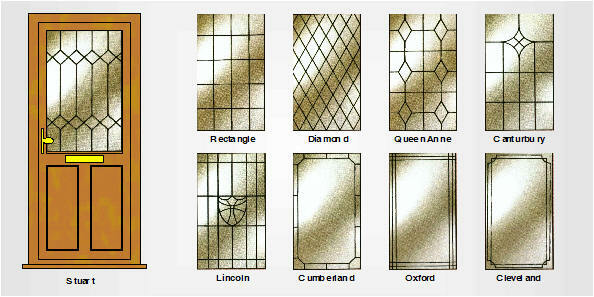 These designs are suitable for two, three or four panel doors. G B Wendland manufactures a large range of door and conservatory panels with optional inset sealed units. These panels are made from a sandwich of uPVC and closed cell styrofoam core rather than inferior acrylic and polystyrene components used in cheaper panels.